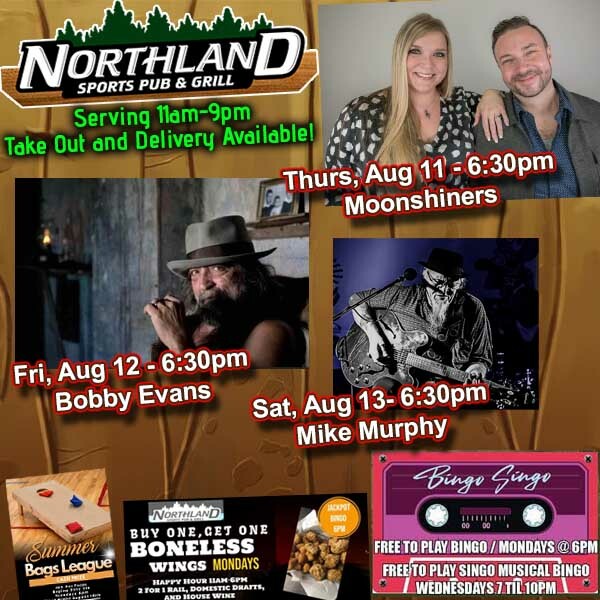 The Northland Ave Neighborhood Sports Bar 340 W. Northland Ave Appleton, WI 54911 920-364-0016 Northland Pub Menu Northland Pub Lodge your EVENT ROOM Our staff looks forward to making your visit a special one with amazing food and friendly service. Enjoy watching your favorite team play on one of our 36 big screen TV’s. If you’re looking for a place to host your special event, check out our Northland Lodge. With its own private full service bar, large screen TVs, seating from 25-100 people, and music to make any private event a great time! Please view our 360 video below and party package pricing. We offer plenty of entertainment throughout the week with Singo, and live music from Memorial Day to Labor Day on Thursday’s Friday’s Saturday’s! Sitting at home and hungry? Let us help click on the order online button and we will bring the food to you!